The Film Inquiry team have been considering cinema’s greatest couples. I was planning on choosing a non-romantic couple for my contribution until I remembered the very special Enough Said. 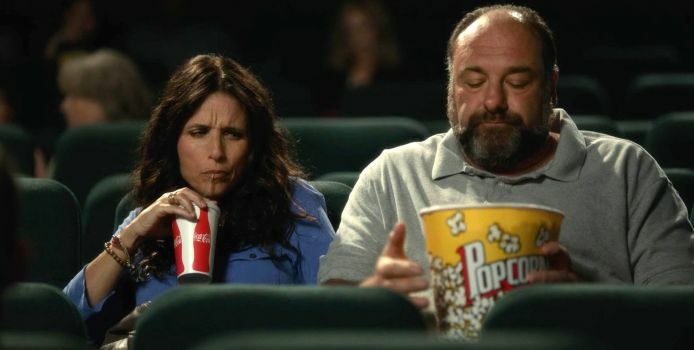 Directed by Nicole Holofcener, the film charts the romance between Eva (Julia Louis-Dreyfus) and Albert (James Gandolfini), two divorcees who are introduced to each other at a party. Their remarkably naturalistic performances are key to the film’s success. Film Inquiry: What Constitutes A Cult Film?